In 1939, The Partisan Review sent out a questionnaire to a number of prominent writers, asking them about literature, politics and their identities. While the questionnaire hasn’t been completely forgotten, we felt that these specifically political questions were rarely being asked of our writers. Considering that 2011 was a year of global unrest, we felt that it would be particularly relevant to update The Partisan Review’s questions. 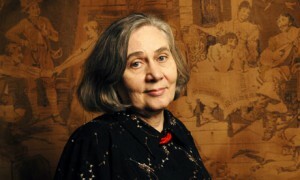 Marilynne Robinson is the author of three novels, Housekeeping, Gilead, and Home. She has won the Pulitzer Prize and the Orange Prize. Her non-fiction works, which discuss faith, historical accuracy, immanence, and nuclear pollution, include Mother Country, The Death of Adam and Absence of Mind. In 2012, Farrar, Straus and Giroux will publish When I Was a Child I Read Books, a collection of recent essays. First, the upheaval has to be understood. Popular movements now are so porous, so easily misled or misrepresented. It looks to me as though Western democracy has lost prestige globally. This seriously undercuts popular movements everywhere. The basic assumption of democracy, however seldom realized, is that legitimacy lies with the people, and that the basic form and direction of government are ultimately their decision. At present, though, there is so much manipulation of every kind, astro-turf populism, disinformation, demagoguery, tribalism, and generalized contempt for the public, that it is no longer appropriate to look at events in terms that would have been relatively useful even ten years ago. The United States, the most influential Western democracy, has been afflicted — has afflicted itself — with all these things for some time. Fortunes and careers have been built on opportunism and scurrility, predictably wrapped in the flag and too often carrying a cross… There are certain qualities, dignity, self-restraint, sincere respect for those with whom one has differences, that are crucial to sustaining the values of justice and truth. And without these values a humane social order cannot be sustained. So as Americans we need to stop irrational attacks on our own government, at the same time that we find some way to hold it to the standards of dignity and integrity we and the world have a right to demand of it. Because if democracy does indeed lose prestige, these crowds, wherever they are, will turn into warring factions, falling into chaos that will seem to justify new repression. Needless to say, responsibility for the state of the world would ideally be felt by people in positions of influence in the media. I very often write in response to a question or subject that is given to me. Most of my essays are lectures first of all, and in that sense they are addressed to specific audiences. My fiction is simply something that goes on between my mind and the page. I am gratified to discover that it has an audience. I don’t read criticism of my work, except in the first few days, just to see how it has landed, so to speak. As far as criticism in general is concerned, I am always struck by how little the influence of university training is taken into account, universal as it surely is among people who write criticism. For a long time the academy has been training people in a style of criticism that is marked by nothing so much as jargon, and by generalization that is pointedly inattentive to the character of any particular book. So there is a great breach between the persons of letters who would otherwise lead the public conversation about books and the vast majority of the reading public. No wonder they are so small a voice. It would no doubt enhance our awareness of the serious writing that does indeed go on if there were critics of the kind that used to introduce such writing to a serious readership. For quite a long time I have been able to live by my writing, and I have continued to teach because I enjoy it. Earlier on I was happy to teach because it took pressure away from my writing and allowed me to follow out interests that have been enormously valuable to me in ways I could not have anticipated. Teaching has given me a good life. I think for many writers this is true. It is a widely established feature of American life that we teach, just a musicians and painters do, typically. I think it is good for most of us — the impulse to sustain and develop an art through pedagogy is very ancient and respectable. Scientists teach. Writing in and of itself is a high-risk occupation. Under the best circumstances brilliance is not rewarded reliably. The best work often isn’t marketable in any sense, to publishers or patrons. So I don’t think serious professionalism is ever self-sustaining on anything like a regular basis. The most fascinating thing about writing is that you find out so much about who and what you are, as an individual and as the member and product of a culture. The influences that have formed my thinking are inevitably of great interest to me. “Allegiance” is a word I would not use, however. I don’t find the political tendency of most writing much changed. I do think there is a tendency to bring old, inappropriate categories and assumptions to a new reality. The “war on terror” seems to me to be a phenomenon of the dissolution of the nation-state, related to the kind of thing I spoke of in answer to the first question. Factions have sprung up that do not accept the authority of any government to do what governments have done historically, that is, to determine issues of peace and war. It is true, of course, that some regimes use these movements to accomplish objectives conventional methods could not achieve for them. Still, there is a breaking down of the old order. The people who carry on this war are indifferent to economics — flying in the face of the recent Western orthodoxy about human motives. They are indifferent to life and limb, their own and others’. To launch conventional wars against them was obviously foolish as well as catastrophic. To target them as our military does now raises obvious questions. By overriding sovereignty and mooting legal constraints on warfare it is another reflection of the crisis of the nation-state. That said, it is less indiscriminate and certainly more effective at limiting terrorist organization. The great peril to this country is an entirely fortuitous and unproductive consequence of this “war” — the virulent attack on Americans by Americans who choose to represent at least half the population as disloyal, as “socialist” and so on. The potential for harm in this divisiveness is much greater than any foreign enemy could hope for, and, if in some way it is an effect intended by hostile forces, it is certainly their greatest triumph.